There are many options for 3D printer electronics. I like to use the Arduino Mega along with a RAMPS 1.4 board, as I already have lots of Arduino experience. RepRap Arduino Mega Pololu Shield, or RAMPS for short. 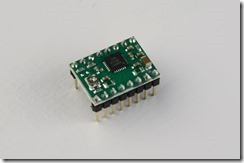 It is designed to fit the entire electronics needed for a RepRap in one small package for low cost. 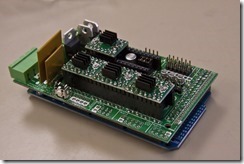 RAMPS interfaces an Arduino Mega with the powerful Arduino MEGA platform and has plenty room for expansion. 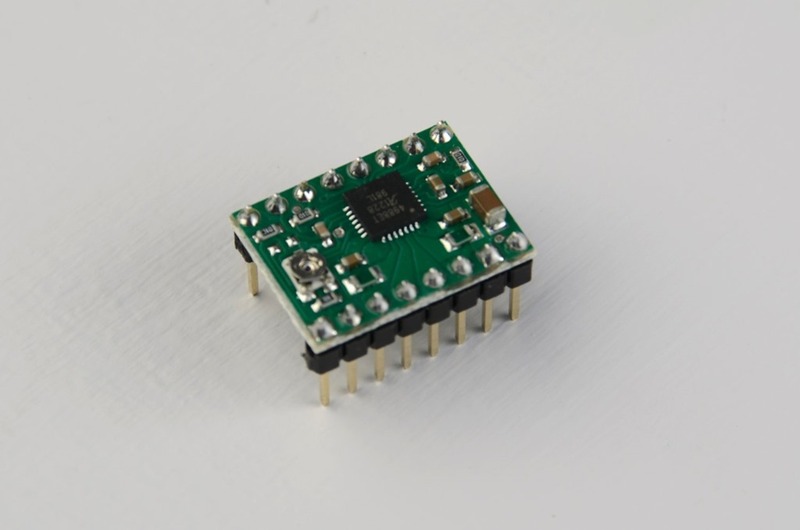 The modular design includes plug in stepper drivers and extruder control electronics on an Arduino MEGA shield for easy service, part replacement, upgrade-ability and expansion. 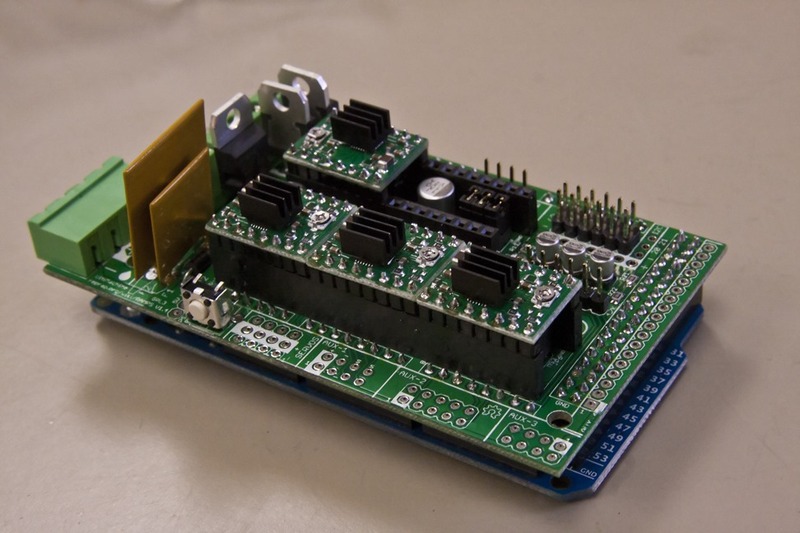 Additionally, a number of Arduino expansion boards can be added to the system as long as the main RAMPS board is kept to the top of the stack.